You must love a morning show that thinks outside the proverbial box. 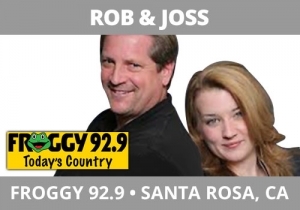 Approaching Father’s Day in June, Rob and Joss, Froggy 92.9, Santa Rosa, CA had a grand idea. Luke Bryant is one of country’s biggest artists right now. With the holiday upcoming that week, they found his father who offered up a unique take on the star. This is radio genius because no one else in the market thought to do it.